Discussion in 'Sony PlayStation 1 & 2' started by MegaGenesis, Aug 22, 2018. Hi. As mostly people here might know, PS2 games came in DVD's, so they disc image are ISO files. However, there's a few titles released on CDs, so they are BIN and CUE, like a PS1 game. You can't just burn these games on a blank DVD, they weren't programed to boot from a DVD. And some of these games are over 700 MB, like Midway's port of Crazy Taxi to PS2, so we can't even burn the image on a blank CD-R. What to do? I'm with the Sega Ages 2500 Vol.33 Fantasy Zone Collection (bin and cue), they weight almost 670 MB, so i can fit it on a blank CD-R. 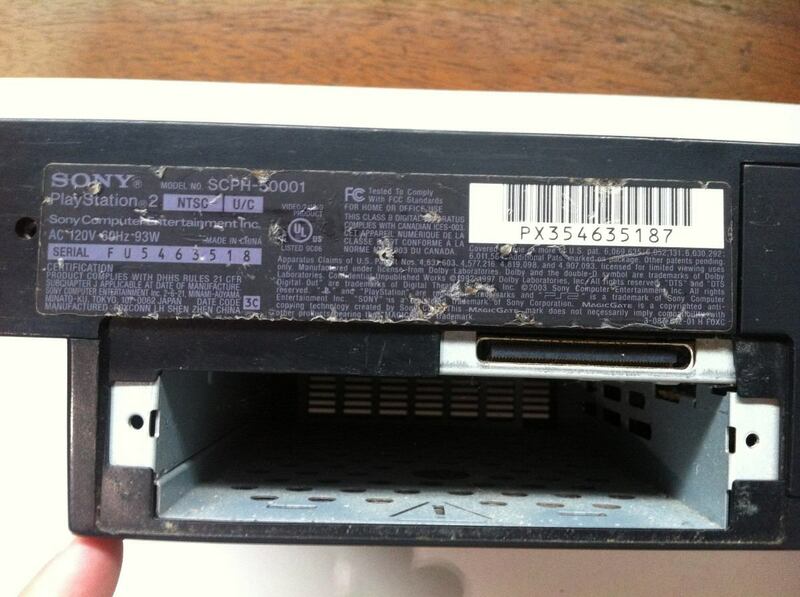 The problem is i heard playing burned CD games on PS2 damages the lens, despite the fact it was build to play CDs. I don't want to damage my PS2 lens trying silly things, so is there any way to "covert" the BIN and CUE files into a ISO file to burn on a DVD-R? Yes yes, i know Sega re-released these Fantasy Zone games on other platforms, i play them on my 3DS with Sega 3D Classic Collection, but i want a proper CTR screen and control. -I have a tri-system CTR-TV, anything Pal, Pal-M, and NTSC i can play without problem of any patching. -No, i don't have FMCB or OPL, my PS2 lens are fine. The "superslim" 900xx has the mechacon bugs fixed or worked around, so it doesn't have the "laser gets stuck on full power and burns out quickly" issue of 500xx to 75xxx consoles! Yes, -R discs are harder on the optics than -ROM discs (and -RW are much worse than both); but the quality (materials, reflectivity) of the individual disc and the quality of the recording (no, with modern discs 1x is usually not the best speed) are also important... and for now, replacement PS2 optical drives are still common! Ok, so i just burn the image of Sega Ages on a CD-R? Then its like th original Xbox, which had two separed lasers, one for movie DVD's, other for games. I tried converting the BIN/CUE to a ISO file and burning on a DVD-R. The one converted with Ultra ISO gave me the "Matrix" prompt instead of "Playstation 2" logo followed by endless black screen. The ISO made by the program PS2 Bin 2 ISO from PS2 Home forums just gave me a "This disc can't be played" black screen. I always burn at 2X speed, 4X max, never had problems with other games. I don't set to 1X speed because if done so my drive just automatically sets itself to write at the maximum speed instead. Also, this doesn't help with CD PS2 games larger than 700 MB, which i can't burn on a 700 MB CD-R. Anyway, thanks for your explanations. Since you have a modchip you should be able to play from cd-r. But as far as cd games over 700 mb normally there's additional steps to converting a bin/cue to iso including padding, but there's a program called bchunk. I know as far as free mcboot some cd-r games wouldn't work when converted to ISO. I don't know if this is the same with your modchip. But it's been a very long time since I've used discs (I use a usb drive) but IIRC if you use imgburn it should overburn and put the game on a cd-r even though it's over 700 mb. Or there may be a setting you have to change it in again it's been a long time but I know imgburn has an overburn option just for files over 700 mb. Yeah, while my PS2 laser is still doing great even after 10 years of work (mainly because i always took good care of it), i'm planing to future proof my console with softmod to play games from USB drive. Is there any telltale on the outside of the unit to tell which motherboard rev my PS2 had? Just knowing the drivers version and unit model isn't enough. I tried using IMGBURN years ago, didn't liked, so i use CD Burner XP, which i find easier to setup. Also, if this method is real, it might ot be worth the try, it sound like burning Dreamcast GD-ROM games on a CD-R, writing more than what the media the support. In the end the console would be forcing its laser to read the game compressed in the small disc. Anyway, thanks. Actually the 9000 models cannot be softmodded. You'll have to get another PS2, anything other than 9xxx. Much like the Wii, the PlayStation 2 has various methods to achieve a softmod. One of the earliest methods developed, known as the Independence Exploit, allows the PlayStation 2 to run unsigned code by exploiting a buffer overflow in the BIOS code responsible for loading original PlayStation games. This method, however, only works on models V10 and lower, excluding the slim PlayStation 2. It also requires a special "trigger disc" to be able to boot homebrew code. Another exploit, known as Free McBoot that can work on any model of the console except the SCPH-9000x series with BIOS v2.30 and up. This can be installed by editing a file on a game disc (such as 007: Agent Under Fire) putting an application known as ULaunchELF on the disc, burning the modified game to a DVD, then blocking the disc drive's sensors to allow hotswapping of the disc when needed. Free McBoot requires no trigger disc, instead is able to load its executable, called an ELF, off of a standard memory card. This also locks the softmod to a specific memory card and console, however. Is there any telltale on the outside of the unit to tell which motherboard rev my PS2 had? Thanks for recommending me this homebrew app. Already downloaded and tested on my PS2. There's something magical about discovering these hidden details of my console after 10 years i have it. Still, many informations are listed as "unknown", specially refering to the mainboard ID. I' gathering data to send to the devs of this app. Thanks.